The electric car has come a long way since the late 19th century. Improvements in battery technology and efficiency have led to faster, longer ranging cars that can recharge faster than ever. From the legendary Tesla Roadster to the affordable Ford ECOnetic, electric cars are becoming more and more popular and better and better equipped. It will be interesting to see how these new technologies will be put to use in the future of electric cars. Wireless power was the dream of famous scientist Nikola Tesla. Using his ideas of resonant magnetic induction we are just now starting to make that dream come true. 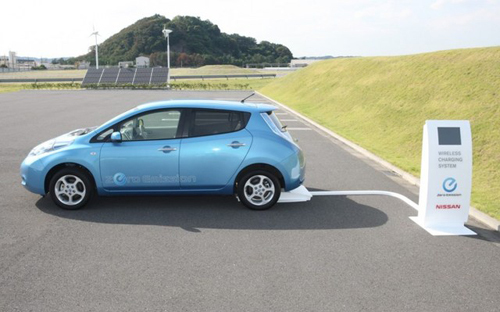 This innovation has reached the point that it is possible to make charging stations for electric vehicles that can do wireless charging almost as fast as a conventional wired connection station. As more and more recharging stations are built, this fast and less troublesome method of charging is the key to making electric vehicles more accessible to the general public. Who knows, as recharging technology advances, one day this may even become faster than using a gasoline station. Modern electric cars are now fast enough for highway travel; the problem is range. The faster an electric car goes and the more energy it uses, the shorter the range. Most electric cars only have an upper range of 160km (100 miles) at most and many are below that. 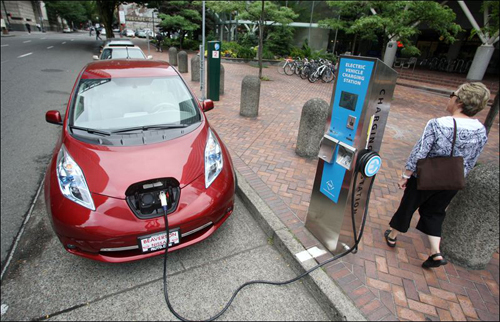 The lack of charging stations on highways and in general around the country is a major limitation to electric cars, forcing them to stay close to home or where stations are set up. Recent advances in batteries and charging methods have greatly reduced the cost of these stations though. It is this reduced cost that is allowing for more to be installed. More charging stations would mean the ability for electric vehicles to travel farther and farther, making charging less of a hassle and allowing for them to truly challenge combustion engine vehicles as major modes of transportation. This is an advance that is actually happening with most modern cars but especially electrical cars. As things like voice recognition and touch screens become easier and cheaper to produce, they are starting to make their way into cars. 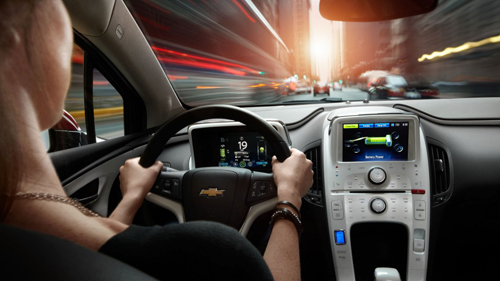 Imagine a car dash like the dash of a computer with apps and the ability to adapt and be personalized to your custom preferences. These kind of displays and features make it easier to control the car and keep the functions and conditions we want in check. This may evolve into some sort of customized HUD display right on the windshield! Electric cars are especially able to handle these kinds of features thanks to a much larger on-board power supply than a conventional car has. This advance is most common in hybrids but really all cars, hybrid, combustion and electric can benefit from this technology. Basically, there is a small alternator like device that spins when the brake is applied, to feed electricity back into the battery. This would extend the battery life even more in a conventional car, but in a hybrid or full electric this longevity is even more important. 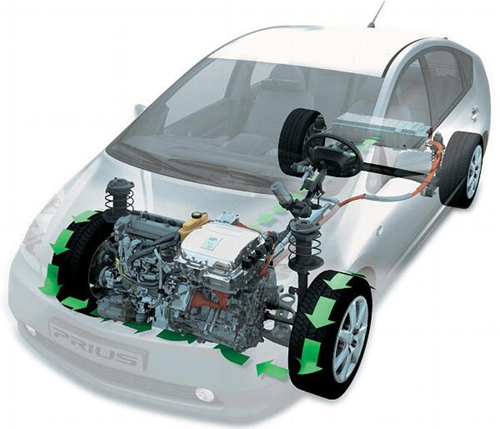 Hybrids with this feature can rely more and more on the electric battery and with full electric cars this can extend the range and capabilities of the car as a whole. As this process becomes more and more efficient it may one day convert most of the lost energy of braking, back into electrical power for the car! This is basically a fancy way to say solar panel. 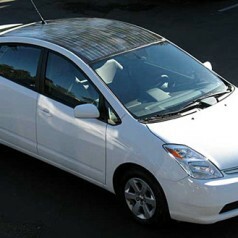 The term solar car brings up images of strange and odd looking concept cars from “Welcome to Tomorrow” type car shows that never say much in production. Advances in this technology have allowed for more practical applications to make such car roofs more modern looking and harder to pick out from regular cars. 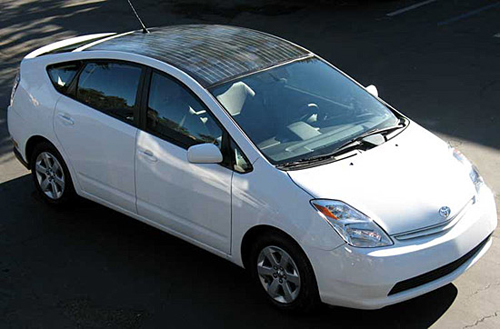 These solar panelled electric cars, though they have longer range and battery life, take less time and cost to recharge and are less reliant on charging stations. One day, such technology may even remove the need for charging stations, letting electric vehicles charge for free in a sunny spot!